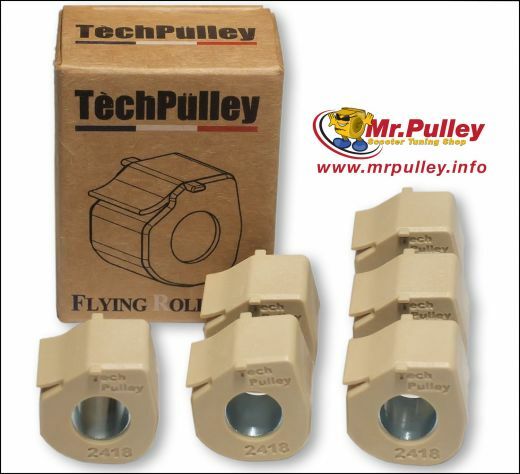 TechPulley sliding rolls in the 20x15mm format, weight 15 grams, 6 pieces / package. TechPulley rolls produce a much better acceleration performance than regular roller weights. They are precisely manufactured from a special nylon material that is characterized by particularly good sliding on aluminum (the material of the Vario). The abrasion is much less and the dreaded one-sided flattening of standard roles are not possible. Unlike normal vario rolls TechPulley rollers have a much longer life. New to the three "wings" of the TechPulley FR roll. The large central wing causes the roll to develop more pressure against the cam-plate, but it also prevents from rattling inside the vario. The two small wings on the side not only facilitate the correct insertion of the sliding roller in the correct position, but also prevent the tilting of the roller. If these occasionally interfere with them or in special Varios, they can be cut off without hesitation. TechPulley recommends that you choose the weight of the FR sliding rolls 5%below the original rolls or (if you are heavy and/or like to drive mountain roads) 5-10% below the weight of the original rolls in the original variator. Then a significant powerful acceleration results in an almost unchanged or even better top speed with same fuel consumption. If the weight is chosen equal to he original weight, the acceleration is slightly stronger, but may slightly increase the maximum speed for the same or even slightly reduced consumption. 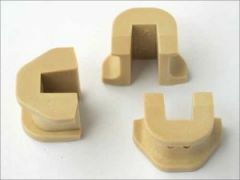 Dr.Pulley sliding role in the 16x13mm format, weight 8 grams 6 pieces / package. 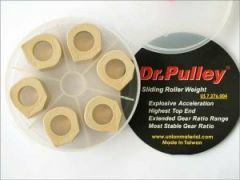 Dr.Pulley sliding roll size 20x17mm, weight 9 grams 6 pieces / package. Dr.Pulley sliding roll size 25x15mm, weight 14 grams 8 pieces / package.